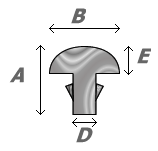 18% Nickel/silver alloy is superior quality. All fretwires are available in rolls (sell by weight) - special order minimum 1kg- contact us. 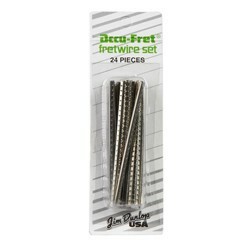 For acoustic and electric guitars.A quality 18% nickel-silver fretwire. 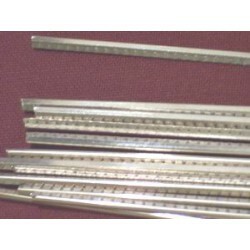 For folk and vintage strat, and for narrow fret 's fan guitarist.A quality 18% nickel-silver fretwire.Each set is 6 frets lengths of 260 mm, for a total of 1560mm.This fretwire is straight, it needs to be slightly bent to adjust radiused fingerboards. Opening hours of the store.